We currently have over 180 different types of Fire Service and Fire Brigade uniform button for sale. If you want original collectible uniform buttons, you are at the right place - here is how to order from a choice of over 3700 different sew-on buttons including military, police, fire service, shipping lines, railway and yacht club buttons. My name is Ian Kelly and I have collected uniform insignia since the age of 10. Our family-run business has been registered since 1990. The internet allows us to run the business in our spare time, normally at weekends and evenings. We operate purely by mail-order to buy and sell quality collectable uniform insignia - we do not have a 'high street' shop. Most of our uniform buttons are British or British Commonwealth from 1881 to the present - we have some older buttons, plus a good selection of worldwide buttons, especially overseas police and merchant navy buttons. We are not tailors or military outfitters. The buttons that we sell are mainly uniform buttons rather than the special blazer buttons favoured by some Regiments and Corps. Many people do wear ordinary-	issue uniform buttons on blazers, but please be aware that there is sometimes a difference. Where we do stock special non-issue blazer buttons they will be clearly marked as blazer buttons, and are often more expensive than issue-pattern buttons. Our buttons are sold for collectors and whilst we may have some in large quantities, many are held as single items. Even the same size and type of button can vary due to age or manufacturing variations. This could be important if you require matching buttons for a uniform or blazer. If you specifically want matching buttons "all or nothing", please make this clear on your order form. We are sometimes asked simply for a 'set of buttons', without a clue as to the quantity required. Please note that the number of buttons in a 'set' will vary between different types of jacket. For example, a double-breasted blazer (boating jacket) will have more buttons that a single-breasted blazer. If you are trying to replace buttons on a uniform, please tell us the sizes and how many buttons you need rather than expecting us to know the details of the uniform or blazer that you have in your possession. Some units have a different range of sizes, such as for for cuffs. We used to annotate these as 'Very-Large', 'Large-Medium' or 'Medium-Small', but for greater accuracy, we now use diameter sizes in millimetres. In British military dress regulations, the diameter of buttons is often measured in 'Lines' or 'Lignes' (abbreviated to 'L'). 40L = 1 inch = 25.4 millimetres. I prefer to use millimetres as few people have the means to measure Lignes. Small buttons are fairly scarce. There are only 2 small-sized buttons on a peaked cap - used to secure the chin-strap. (Scots Guards Number 1 Dress Caps do not have chin-straps or buttons). Depending on regimental dress tradition, small buttons are sometimes worn on Mess Dress waistcoats by Officers, Warrant Officers and Senior NCOs. Large buttons are fairly scarce because they are only worn on the great-coat and the front fastening of Guards scarlet tunics and Officers Service Dress jackets. The great-coat is no longer on general-	issue (now only used for 'Public Duties' - the ceremonial guarding of Royal palaces and households). 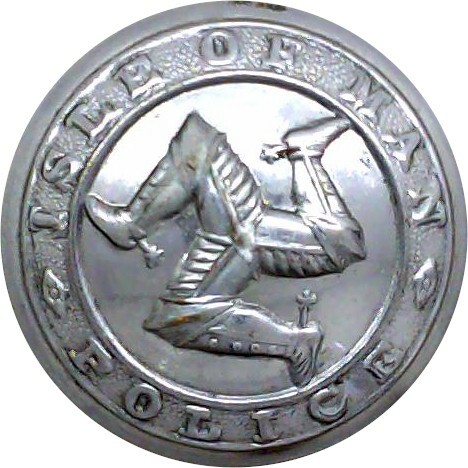 Most Officers' khaki Service Dress jackets have only 4 large buttons. This size of button is much rarer than medium buttons. Sometimes the design and materials used for buttons can give a clue as to their age and identity. 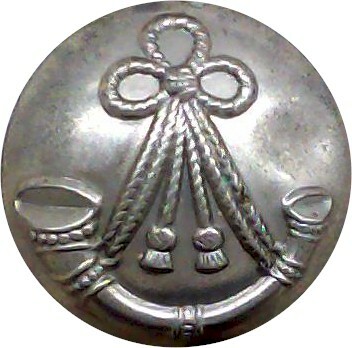 From 1830 onwards, Regular Army infantry regiments that had been wearing silver buttons changed to gilt buttons and thereafter, silver buttons were mainly worn by Militia and Volunteer regiments, and sometimes by pipers of regular regiments. 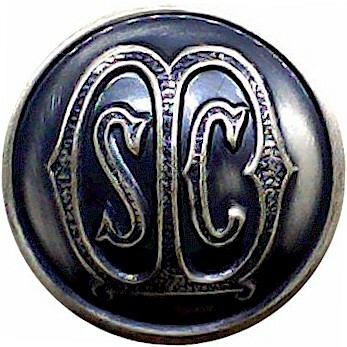 Other Ranks buttons were made of lead or pewter until 1855 when brass was introduced. 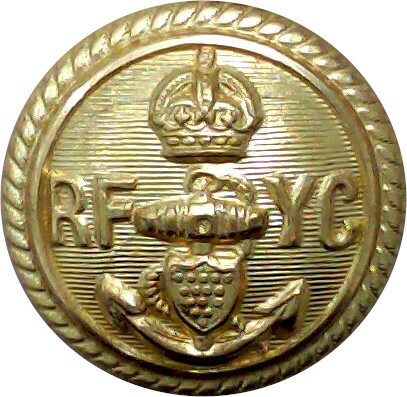 Officers' buttons are often made to a higher specification, often gilt, and sometimes 'mounted'. A mounted button is made from more pieces of metal. The regimental badge is made separately and mounted onto a plain domed or flat button. Mounted buttons are real works of art and very expensive to produce - not many Regiments have them. Anodised-Aluminium - known as Staybrite - this was introduced into the British Army about 1950. Some Staybrite buttons were made with a King's Crowns prior to the death of King George VI in 1952. With a life-span of just 2 years, King's Crown Staybrite buttons are quite rare. compressed leather - mainly for economy patterns during World War 1 and now quite rare. In 1751, British Regiments of Foot (infantry) were numbered; after 1767 these numbers were shown on buttons. Some of these may be confused with more modern French or Belgian buttons, so look for the makers name on the back: if it has a French maker, it is probably a French button. In 1881, the numbering system for regiments was discontinued. 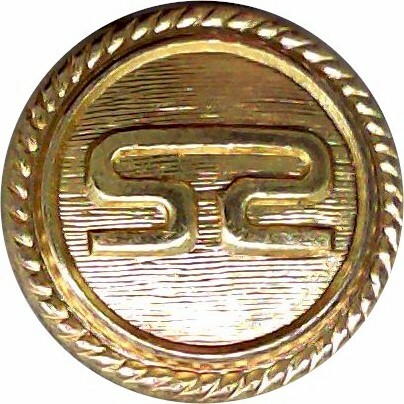 Although regimental pattern buttons continued for Officers, Other Ranks wore 'General Service' buttons from 1871 until after the First World War (the same pattern throughout the whole Army). The British Army is full of exceptions, and some regiments permitted NCOs to wear regimental buttons during this period. Click here for our online militaria shop - about 10,000 different items including cap badges, collar badges, shoulder titles and arm-badges. We have NO WW2 German items, NO medals, NO g uns, NO knives and NO bulky equipment. Whatever we sell must be small enough - and legal enough - to be posted by mail.